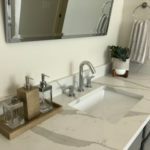 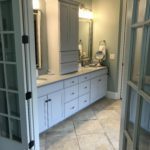 This particular set of homeowners were undergoing a master bathroom reno. 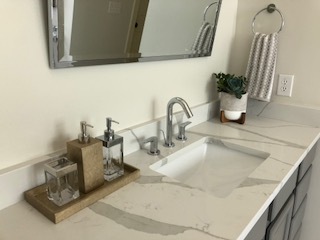 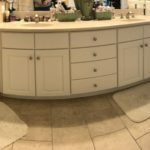 Tile, counters, the whole works! 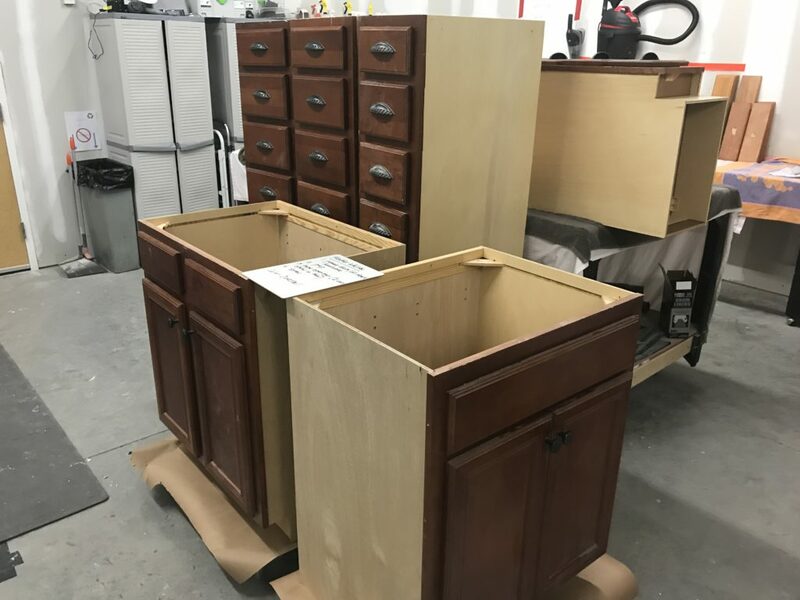 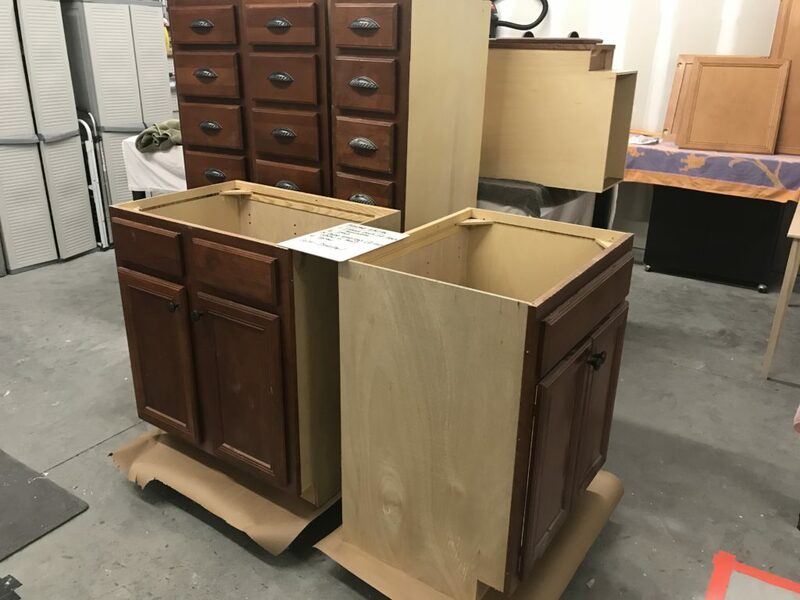 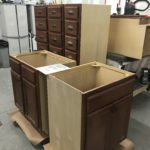 Whenever this happens we’re able to take the entire cabinet (not just the doors and drawers) to our workshop to spray them. 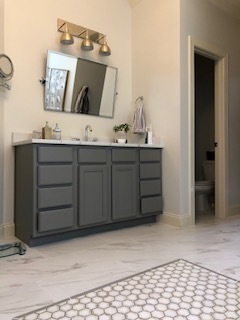 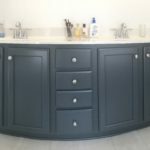 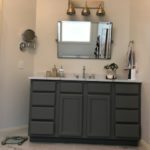 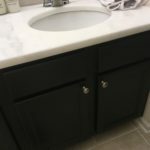 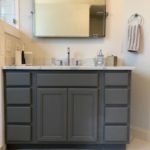 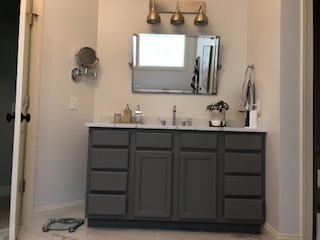 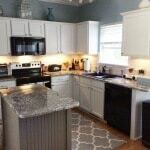 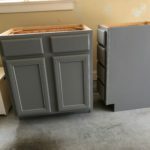 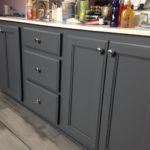 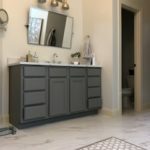 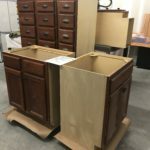 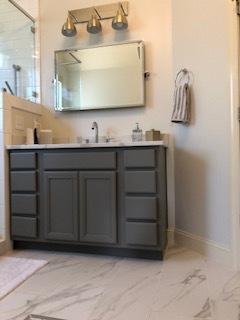 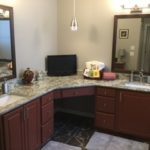 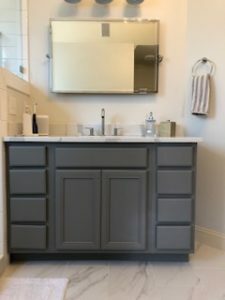 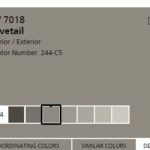 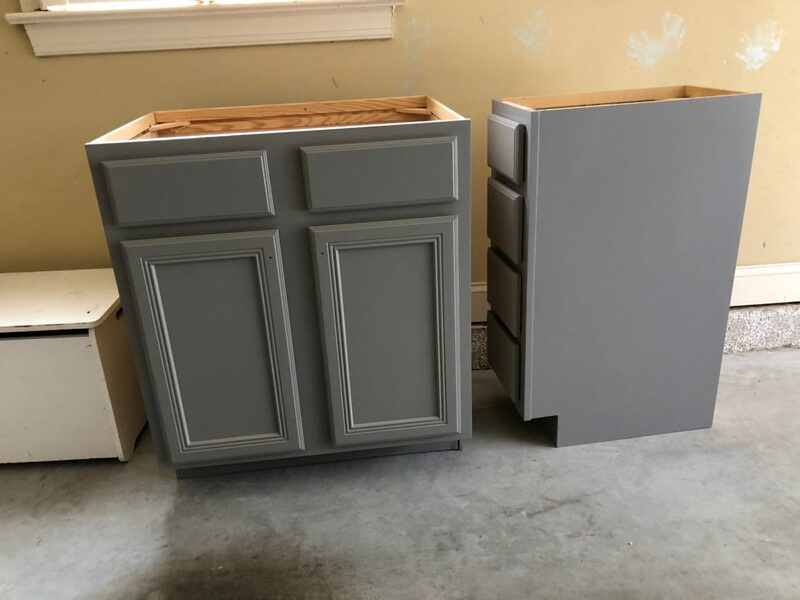 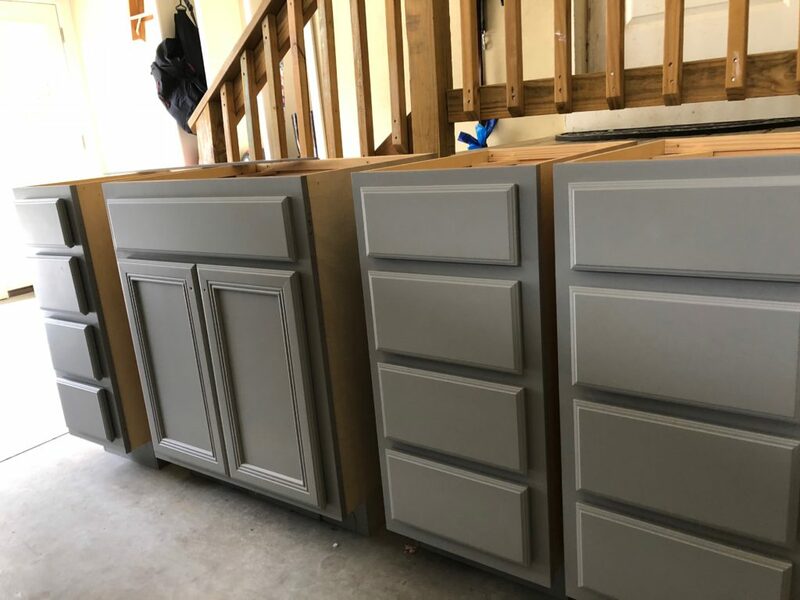 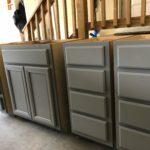 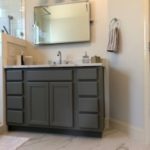 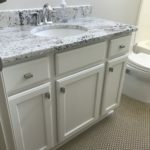 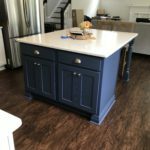 They chose Sherwin Williams Dovetail – a super popular warm gray. 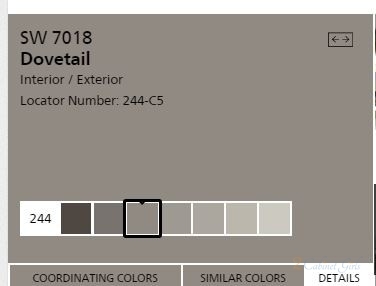 It’s the perfect neutral – goes with everything!